The University of Akron's media studies program prepares you with real experience for a career in video production, radio/television and journalism. There is always more than meets the eye in the media industry, and our media studies program is no different. You will study every aspect of the media industry – from business, law and theory to writing for different media platforms and producing audio and video content. WHY CHOOSE THE UNIVERSITY OF AKRON? UA resources: Our production equipment are current and cutting edge. Our continued investment into the most advanced technology available will give you the ability to create content that is on par with the industry standard. Communication faculty: At the University of Akron you will be taught and mentored by faculty who research and work in the industry. Some professors are contributing to media studies with groundbreaking research; some are practicing what they teach by producing documentaries; others are armed with years of experience in print or broadcast journalism; and all are working to create the best educational experience to help students succeed in college and beyond. Experiential learning: In the media communication field, experiential learning is more than just an important edge, it is necessary. On UA's campus we have nationally recognized and award-winning student clubs and organizations that provide you with real work experience in the comfort of a learning environment. Our strategic approach to the courses we offer, combined with our faculty and all the experiential learning opportunities available to you, is what sets us apart from the rest. Internship program: In UA's internship program, you can fulfill either 3 or 6 credit hours while gaining hands-on experience in a real workplace. You can choose to intern in nearly any department at any type of organization where communication and creativity is recognized. The best way to understand the theories and concepts you are learning in the classroom is to apply them for real. Also, internships will help you network and build your skill set. The School of Communication provides courses that allow you to tap into your creativity while also building foundational skill sets and your personal portfolio. Our courses are designed to provide you with the skills to apply that topic, such as writing, to all media platforms and to coincide with our production courses. Beyond the basic media studies curricula, UA offers several “special topics” courses that highlight new advances in the industry or hot topics going on today. Many of the courses are taught through a hands-on approach utilizing our advanced production equipment and our college programs WZIP, ZTV, and the 2380 Film Club. 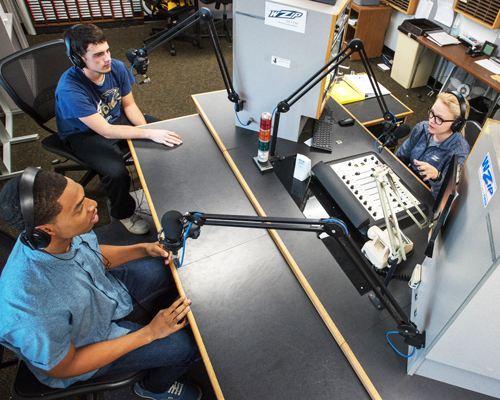 In addition to many student organizations on campus and access to valuable internships, the University of Akron has its' own award winning radio and television stations - WZIP-FM and ZTV. WZIP is a nationally recognized and highly-rated radio station with a broadcast signal that reaches most of northeast Ohio. 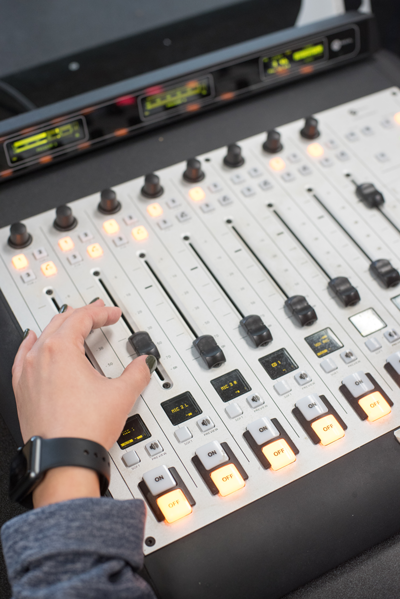 From announcing and programming to news, sports and promotions, the content is driven and produced by students who have made WZIP the most listened-to student-run radio station in the nation. ZTV is a companion program that enables students to perform every aspect of producing television shows, which are played on a campus cable system and shown to the world online. ZTV has been nominated for more than two dozen regional Emmy awards and won several. Our graduates are working at radio and television stations across the country. Many are employed by major production companies and networks. Some have started their own video production companies and many have earned advanced degrees.